SB 1467 is an expansion of private school tax credits that weakens education. 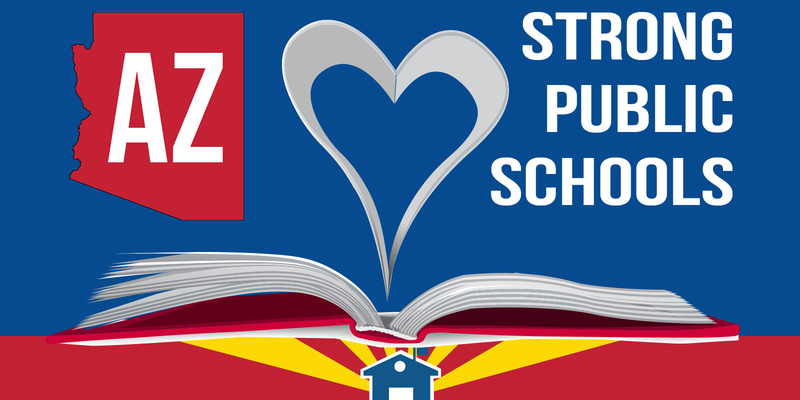 Arizona can’t afford to fund two school systems: one public, one private. These tax credits divert public tax dollars for private schools that can turn away any child for any reason—learning style, religion, academic level, special needs, and family circumstances. 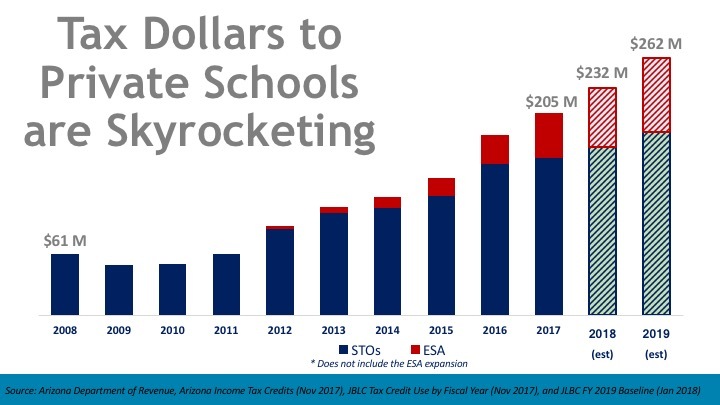 SB 1167 continues Arizona’s trajectory of exponential growth in public funding for private schools. Private school enrollment has remained flat while public school enrollment is growing, and public schools are still missing more than $1 billion in funding compared to 2008. Private school tax credits operate on auto pilot without accountability or budget controls. They reduce state revenues while subsidizing private schools with no evidence of benefits to Arizona’s educational success and no movement toward closing our achievement gap for students growing up in low income families. INCREASES the maximum scholarship amount faster every year. This rate is higher than state aid formula for public schools. EXPANDS scholarships for children who were home-schooled and children who moved to Arizona from another state – without them ever attending Arizona public schools. GROWS the diversion of public dollars to private schools by making it easier for families to move between ESA vouchers and private school tax credit scholarships without ever attending public schools. INCREASES the statewide cap for donations for disabled and displaced students every year and increases the maximum scholarship amount. REPLACES the annual growth from in the private school tax credit cap from the current 20% to inflation or 2.5% whichever is greater. Public school funding growth is limited to inflation or 2% whichever is less. ADDS an application fee on top of the 10% of donated funds Student Tuition Organizations can keep for administration.